This is what’s left of a star that exploded in ancient times. 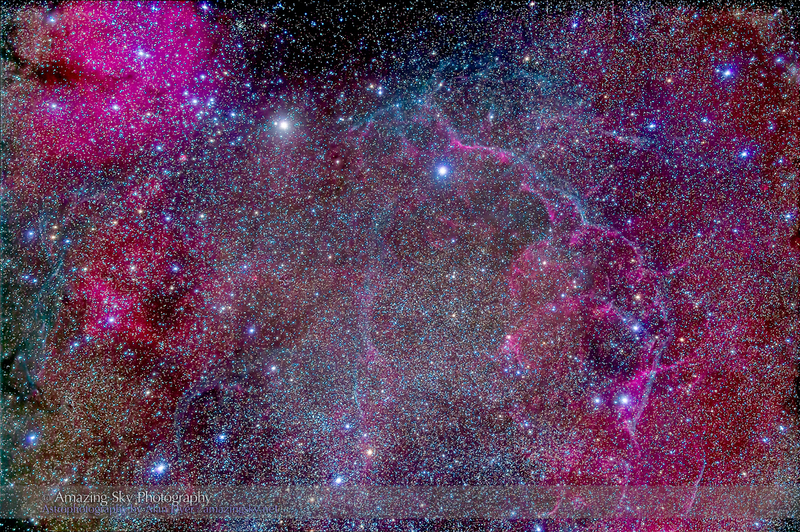 This is the Vela Supernova Remnant, an object in the southern sky in the constellation of Vela the Sail. The wispy tendrils of magenta and cyan are all that’s left of the outer layers of giant star that exploded about 12,000 years ago. Cluttering the field at left are amorphous patches of star-forming nebulosity that are part of the much larger Gum Nebula complex. The supernova was only about 800 light years away so it would have been a brilliant sight in the sky to neolithic observers, far outshining any other stars. But no record exists of anyone seeing it. The star didn’t destroy itself completely – its core collapsed to form a pulsar, an ultra-dense ball of neutrons, in this case spinning about 11 times a second. 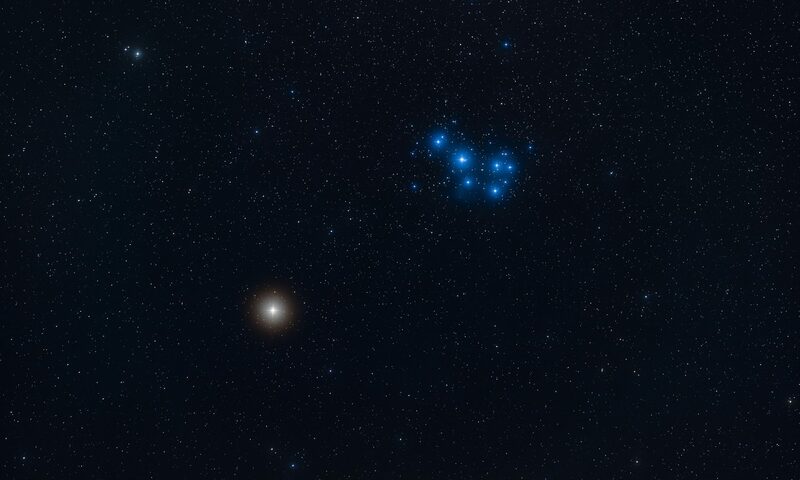 The pulsar is in this field but it’s much too faint to show up in visible light. I shot this earlier this month from Australia where Vela sails directly overhead. The field is about 6° by 4°, the amount of sky framed by high power binoculars. The brighter parts of the Vela Remnant can be picked out in large amateur telescopes – I’ve seen bits of it in my 10-inch telescope – but this is certainly a challenging object to see, even with aided eyes.